Dr. Daniel Brasfield has contributed to 3 publications. Milam, H., Evans, J. W., Elliott, J. P., Platt, L. O., Gordon, J. O., Brasfield, D., Trapp, J., Edmondson, M.; J Miss State Med Assoc. 1984 Nov. The measurement of digitoxin in human serum by radioimmunoassay. Oliver, G. C., Parker, B. M., Brasfield, D. L., Parker, C. W.; J Clin Invest. 1968 May. "EAR" artifact in brain scans. 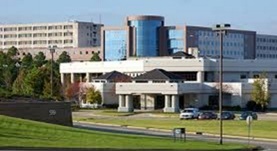 Patton, D. D., Brasfield, D. L.; J Nucl Med. 1976 Apr.